This post contains affiliate links. If you make a purchase through one of these links I will receive a commission at no extra charge to you. Thank you for supporting Townsend House! 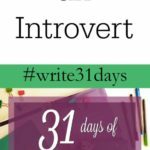 This month for my #write31days challenge, I have been exploring overcoming overwhelm. It has definitely been a challenge to say the least! Trying to figure out exactly why I am overwhelmed was a big part of moving through this challenge for me. There have been so many times in my own blogging journey when I’ve felt daunted by what I was learning and doing and struggled to overcome challenges like increasing my traffic and income in ways that matched my brand and values while also keeping my family at the forefront of my mind. Now wonder I am overwhelmed! Trying to build a brand and business while being a mom is so hard. I think it is especially difficult when the business is online, and you always need to be connected (or so it seems) in order to succeed. Overall, blogging has been one of those incredible “pinch me” parts of my life. I can hardly believe I get to do something I love so much, earn money from home, and be part of such a special community. A community that is constantly challenging me to grow and expand, while being incredibly supportive. I’ve found my blog really thrives when I’m growing in my skills, connecting with others who get the work I’m doing, and pushing myself to try new things. There are so many awesome resources available to help grow your blog and help you grow as a blogger. However, trying to buy all of those resources is incredibly pricey. Which is why I am over the moon about the Genius Blogger’s Toolkit. What is one thing you are working on to improve your blog right now? Are you looking to bring your blog to the next level? Oooo what a deal!!! So many goodies!!!! Taking your blog to the next level can be tough, but with the right amount of motivation and passion it can easily be done! I'm currently a blog contributor and I really like it. I would love to take my skills to the next level. In fact an old friend of mine has been talking about us starting a blog together so this toolkit might be perfect for us. I've been overwhelmed last few months, and this sound like a great pack of information I might need. Thank you for sharing this. This is very detailed and informative. I am sure that it will help many bloggers get ready for that next level. So far I am lucky enough that I haven't gotten burned out yet. I still have months of content prepped in advance and I love every second of it! I've just revamped my entire blog and now working on making it a proper thing for me – not just a hobby. I would love to make this my career as I love it with a passion. Incredible offer these guys are giving, will check it out! I have been overwhelmed this whole month! This looks like a great resource for bloggers! Thank you so much for sharing about it, I haven't heard about it yet! This looks like an amazing resources for bloggers! It can be so overwhelming!! Thanks for sharing! That sounds like an awesome deal for bloggers especially those who are feeling a bit lost with their stats. It's definitely going to help them a lot. So many tools out there for bloggers! I love a first hand review. Thanks for sharing this! Yes, I sometimes feel overwhelmed. This sounds like a great resource. I will check this toolkit out. This is great, it can get so overwhelming to be your own boss and work from home. Thanks for sharing. It definitely can get overwhelming at times! This sounds like a great toolkit for learning more about blogging. This sound like a great toolkit to invest in. There is always so much to learn when it comes to blogging. I think these classes would help! 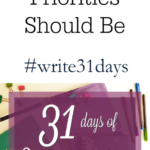 Thanks for these helpful resources for bloggers! 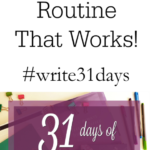 I am so wanting to amp up my blog and this would be a great help for me to get there! This is so true, the amount of times I look back at old posts and want to update or make changes since I have learned from a few months to another! Sounds like a great course to get some more formal info! Overwhelmed is right! Especially when I don't take the time to plan carefully. I'll look into this course! Sounds like an interesting course. Recently purchased one that I am going through now. ( Not this one.) Good luck with yours. I'm working on taking my blog to the next level too and I agree, it's so easy to get overwhelmed with everything we are told we need to do to succeed. 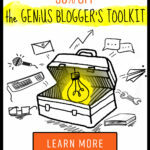 I love the Genius Blogger's Toolkit, I'm an affiliate too and bought mine already. I've been poring through the courses and came up with my Top 10 Courses I Gotta Have (and work on first anyway). What are you working on first? I go back and forth between the time management information and all of the great tools for taking better pictures!